Stream Explorers is a four-page magazine that arrives four times per year for Trout Unlimited’s youth members ages 12 and under. 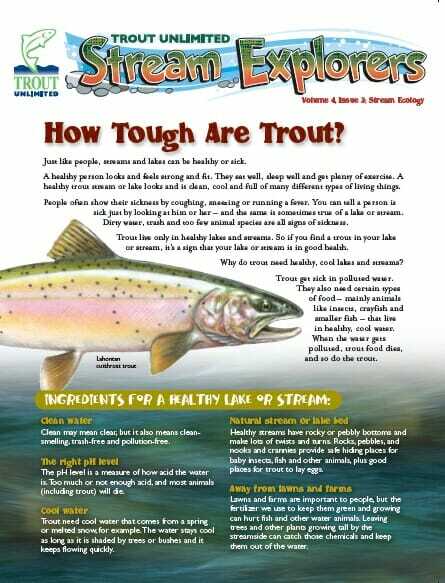 Each issue focuses on one important trout or salmon topic, and includes articles, illustrations, and activities. Stream Explorers is great for independent readers, as well as for children still reading with their grown-ups. Many teachers and educators also love Stream Explorers for their classrooms and field programs.